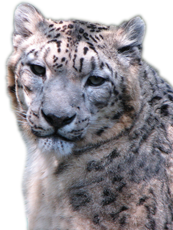 his is the only specialized Zoo in the country and is internationally recognized for its conservation breeding programmes of Red Panda, Snow Leopards, Tibetan Wolf and other highly endangered animal species of Eastern Himalaya. It was formerly known as Himalayan Zoological Park and was established on 14th August, 1958 in Darjeeling (West Bengal) as a joint venture of Govt. of India (Department of Science and Technology) and Govt. of West Bengal (Department of Education). In January, 1972, the Park was converted into a registered Society under West Bengal Societies Registration Act, 1961 with an understanding that the maintenance cost of the zoo will be shared by the Center and State Governments. The Society in May, 1993 was transferred to Department of Forests, Govt. of West Bengal. At the Govt. of India level the Zoological Park is under the Ministry of Environment and Forests. Ex-situ Conservation and Captive Breeding of endangered Himalayan animal species. Educating, motivating and initiating awareness campaign among the local people as well as visitors on the importance of conservation of Himalayan Eco-system. Initiating applied research on animal biology, behavior and health care. The Zoological Park falls under the category of small zoos as per Central Zoo Authority's classification but is the largest high altitude zoo in the country (India). Darjeeling is also called 'Queen of the hills'. The city lies in the foothills of the Himalayas and offers a wonderful scope for eco tourism. Darjeeling with its natural beauty provides a wide variety of activities from liesurely scenic walks to more gruelling activities such as trekking and river rafting for the adventurous ones. It is internationally renowned as a tourist destination, along with for its tea industry and the Darjeeling Himalayan Railway, a UNESCO World Heritage Site. In 1975, Late Smt. 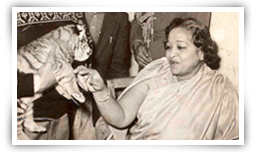 Indira Gandhi the then Prime Minister of India dedicated the Himalayan Zoological Park, Darjeeling in Memory of Late Smt. Padmaja Naidu, ex-governor of West Bengal. The Zoo was re-named as Padmaja Naidu Himalayan Zoological Park. It is 85 Km. from Bagdogra Airport. The Railway Junction New Jalpaiguri is also the same distance and it is connected with all the major cities and towns of the country. This is an opportunity where the Zoo offers the animal species in their collection to the general public, for taking care of them of their adoption. All rights reserved © Padmaja Naidu Himalayan Zoological Park, Darjeeling.